December 2018 / January 2019 n 21 >> Find more of AudioFile's Best of 2018 online! 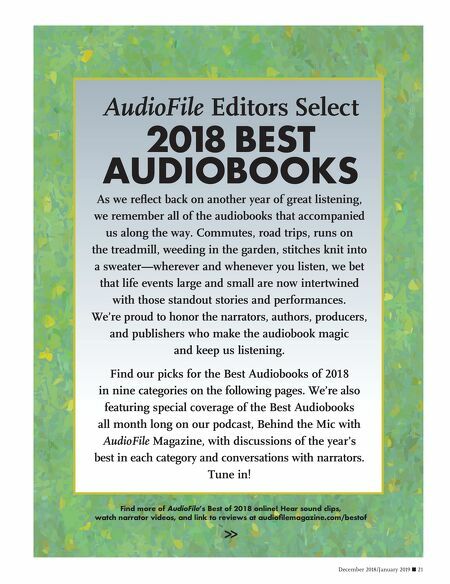 Hear sound clips, watch narrator videos, and link to reviews at audiofilemagazine.com/bestof AudioFile Editors Select 2018 BEST AUDIOBOOKS As we reflect back on another year of great listening, we remember all of the audiobooks that accompanied us along the way. Commutes, road trips, runs on the treadmill, weeding in the garden, stitches knit into a sweater—wherever and whenever you listen, we bet that life events large and small are now intertwined with those standout stories and performances. We're proud to honor the narrators, authors, producers, and publishers who make the audiobook magic and keep us listening. 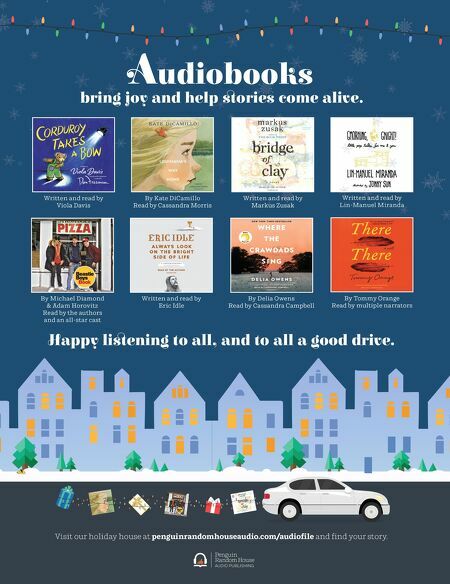 Find our picks for the Best Audiobooks of 2018 in nine categories on the following pages. We're also featuring special coverage of the Best Audiobooks all month long on our podcast, Behind the Mic with AudioFile Magazine, with discussions of the year's best in each category and conversations with narrators. Tune in!